Christchurch is a city on the ascendency again after the terrible damage caused by the 2011 Earthquake. The central business district and all the major attractions are back open for business. But for those budget conscious visitors to the city, what is there to see and do without impacting the budget? With general entry free, the Airforce Museum represents a great, and fun, opportunity to see the fascinating collection of military aircraft, engines, weapons and medals from the Royal New Zealand Air Force. Visitors can get the chance to imagine exactly what it's like to fly in one these classic aircrafts, by experiencing the Mosquito flight simulator. The Horizon To Horizon Gallery chronicles the illustrious history of the Royal New Zealand Air Force. Location: 45 Harvard Avenue, Wigram. More info. For over 130 years, the free to enter Canterbury Museum and its exhibits have been enjoyed by visitors. Visitors can enjoy over 2.1 million items including the natural history and settlement history of the region. 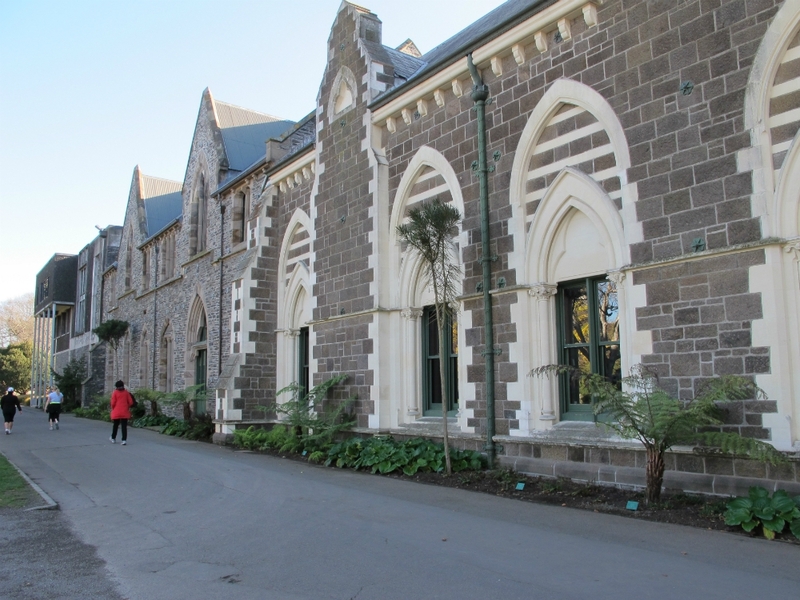 The museum also features an informative Antarctic expedition, Māori collections and a unique kiwiana collection from 'Fred & Myrtle’s Paua Shell House'. Location: Rolleston Avenue, next to the Botanic Gardens. 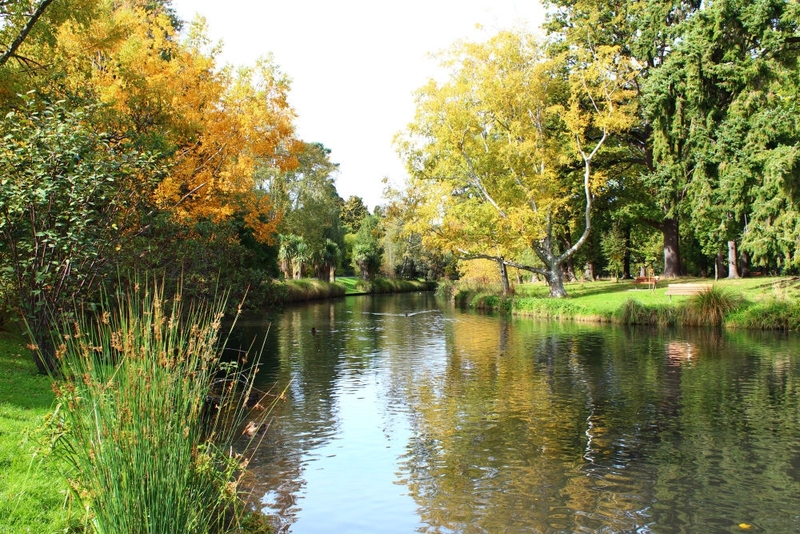 An oasis of peace and tranquillity in the heart of Christchurch, adjacent to Hagley Park. The 21 hectares of gardens were established in 1863 when a single oak tree was planted. The gardens feature a beautiful and diverse selection of flora, fauna with well maintained walking paths. The Avon River navigates around the edge of the gardens with visitors enjoying 'punting' trips. A special discovery trails with a guide takes kids around the gardens and the inspiring artwork installations. View Botanic Gardens video. Rising out of the 2011 earthquake, which damaged the central business district, developed the innovative design of the Re:Start Mall. Today, containers have creatively been used to provide a chic shopping area which has a real buzz to it. Over 30 retailers now operate from gift shops and outdoor shops to book stores and fashion outlets. With plenty of cafes and two food court areas, it's a great place to spend a few hours. Location: 114 Cashel Street. More Info. 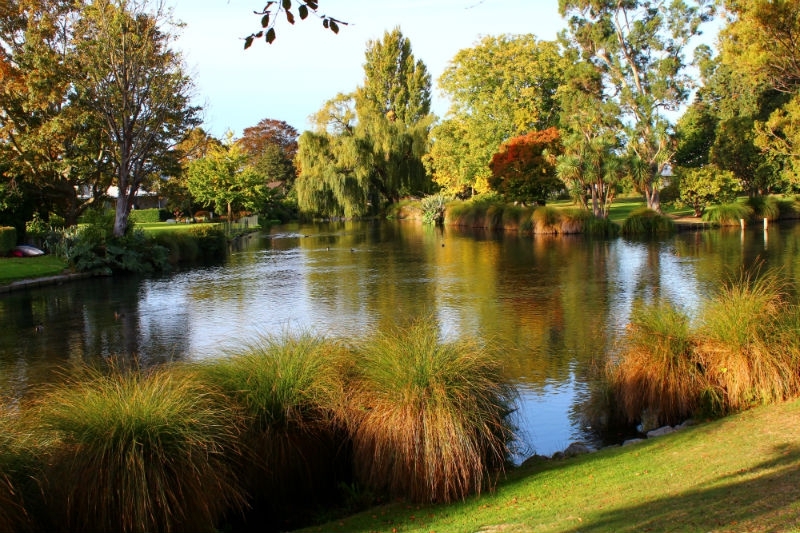 Victoria Park is located on the outskirts of Christchurch and is a chance to escape the city and enjoy the outdoor lifestyle. 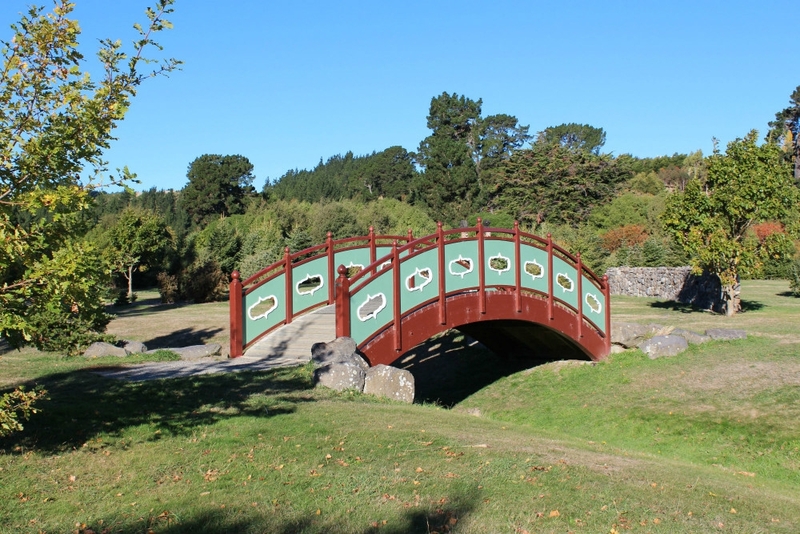 The park is a popular spot with families and features a variety of walking tracks and thrilling mountain bike tracks. The park is also a chance to enjoy stunning panoramic views of the city, the Canterbury Plains, the Southern Alps, and Pegasus Bay. Location: Victoria Park Road. More Info. Beginning at 9.00am every Saturday, the Christchurch Farmers' Market runs until midday in the beautiful gardens of Riccarton House. The weekly market brings you in contact with the region's local growers and a selection of stalls offering the best local produce. Location: Riccarton House,16 Kahu Road. Halswell Quarry is a few kilometres from the Christchurch CBD, and is a great spot to enjoy a relaxing walk or a picnic. The quarry covers a area of over 60 hectares and is divided up into walkign trails, historic sites and landscaped gardens. A major feature is the six sister gardens that represent the six cities with which Christchurch is linked. The Rim Track walk offers a 40-minute circular walk around the former quarry crater. Location: Kennedys Bush Road. More info. 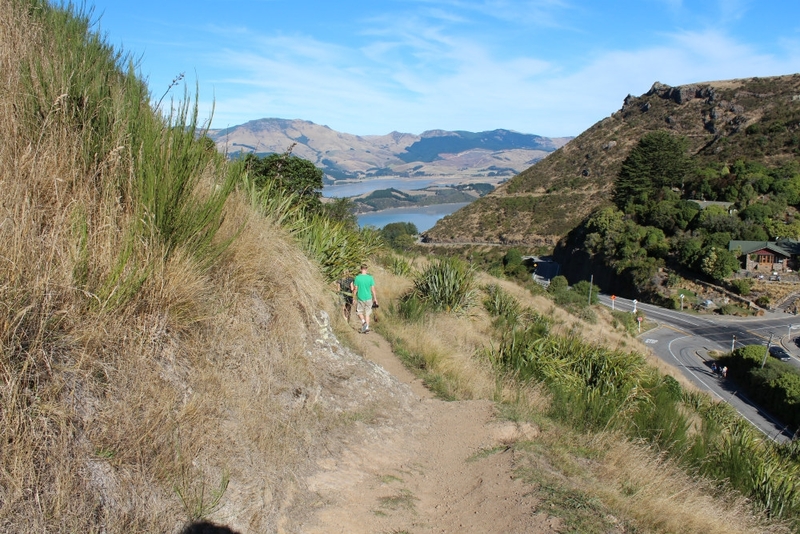 A series of scenic walks offer incredible views of Christchurch, Lyttelton Harbour, the plains and Pegasus Bay. The walks begin from the historic site of the Sign of the Kiwi, passing through bush and open areas of rock and tussock. Walk starting from the Sign of the Kiwi include the 45 minute Coronation Hill Circuit, the 90 minute walk to the Sign of the Bellbird and the 2.5 hour Bridle Path via the Crater Rim Walkway. Location: Off Summit Road. A few minutes from Christchurch city centre, Mona Vale is a quiet retreat spanning five and a half hectares that gently slope down to the Avon River. Visitors can expect manicured lawns, beautiful flower beds and a Rose Garden which was established in 1994. More info. The coastline of Christchurch offer plenty of opportunities to spend the day without costing a cent. 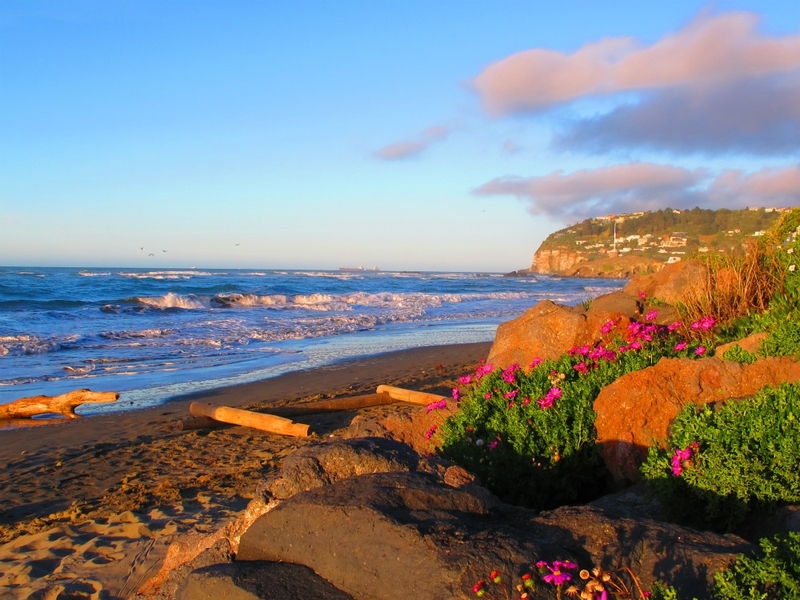 The nearby beaches of Sumner and New Brighton are easily accessibly choices from the downtwon area. Further out, situated between Lyttelton and Diamond Harbour, a lovely scenic drive leads you to Governor’s Bay, a sandy secluded beach.